SouthGroup Gulf Coast - Your Trusted Choice: Life Happens-Can you afford it? Minimum auto insurance is the wrong answer! Life Happens-Can you afford it? Minimum auto insurance is the wrong answer! You may think you’re paying too much for auto insurance or that you’re paying for coverage you don’t need, but the truth is you may be paying too little. You may not have enough coverage for your protection. You can’t afford not to be covered properly! Liability is the most expensive coverage on an auto insurance policy. Does this frustrate you because you consider yourself an excellent driver? Does this lead you to want only a minimum amount of liability coverage on your policy so that you can save money? Here are some factors to consider; the average vehicle on U.S. highways today is valued at $21,000 and the average medical bill for one individual in a vehicle accident is $68,000. That’s just the averages! Life happens, whether we like it or not. The average person is involved in 1 vehicle accident every 15-17 years they are driving. The National Safety Council states there are an average of 10 million car accidents per year ranging from minor to fatal. Today we are bombarded with auto insurance advertisements promising better rates, but we must also look at the amount of coverage they are offering for these rates. Rates are not always be cheaper with the minimum coverage limits and, while minimum coverage is better than no coverage at all, these days it is simply not be enough. The average legal minimum of liability insurance that most U.S. states require citizens to carry is $25,000/$50,000/$25,000. When you look at these figures, you may be wondering what they mean. To translate, these are your liability coverages. The first number represents up to $25,000 in coverage per injured person, while the second figure represents $50,000 in coverage as a maximum payout for medical bills for all persons injured by your vehicle. The final number provides $25,000 maximum in property damage. Remember, the average medical bill for one individual in an accident is $68,000. What this means to you is; if you are at-fault in an accident which resulted in injuries to one other party, you could be facing a lawsuit for the gap in coverage ($68,000-$25,000=$43,000). Can you afford to fill that gap? The difference in premium from having minimum liability coverage to the next step up of 50/100/50 can average anywhere from $5-$20 in additional premium per month. Basically, it will take you 215 years or more in insurance premiums to equal the additional $43,000. So, the question is; are you really saving money? The recommendation is that you carry enough liability coverage to protect your assets – so add up the value of your home and autos and investments, and be sure you are carrying at least that level of liability coverage to protect yourself from the very real probability of needing to pay for someone else’s injuries and damage to property. The higher limits are a minimal cost to you by comparison of legal fees and medical bills. As you increase your assets, you should also increase your liability protection. The right coverage for you at age 20 is likely not the right coverage for you at age 30. Also, let’s hope you don’t have an accident with the ever popular E-Class Mercedes currently averaging $52,000 in value or a $43,000 Dodge Charger. Remember, with minimum coverage you only have $25,000, and the remaining balance is your responsibility. If you are at fault in an accident, even though you can’t imagine you would be, you are looking at an average legal responsibility of $132,000 total. If your insurance doesn’t cover the full amount (or you don’t have insurance) you will have to pay for your own legal representation in court and could be forced to liquidate your assets (possibly including your property and bank accounts) as well as facing your wages being garnished. If you are still concerned you’re paying too much for auto insurance, we recommend you review your policy with your Trusted Choice insurance agent, who is able to offer options for coverages and companies. There are other ways to save money, such as higher deductibles, which would be a safer decision. 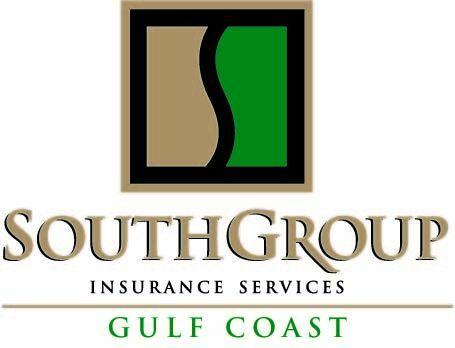 Southgroup Insurance Gulf Coast is a Trusted Choice independent insurance agency, which means we have the option to shop several auto insurance carriers for you and find the best coverage for you at the best rates available. As a Trusted Choice Agency, we deal with only top rated insurers enabling our agency to offer superior protection to our clients. Visit one of our 3 coastal locations today for your free auto insurance review, and find out if you’re prepared to face the averages! EEK! Home Alone! and the Burglars are watching!